Charbax found this tablet at CeBIT, which is going on right now in Hannover, Germany. At first glance, the M7 looks like an ordinary Android tablet. But that's before you know about the pen. Yifang have integrated a digital pen into the tablet. 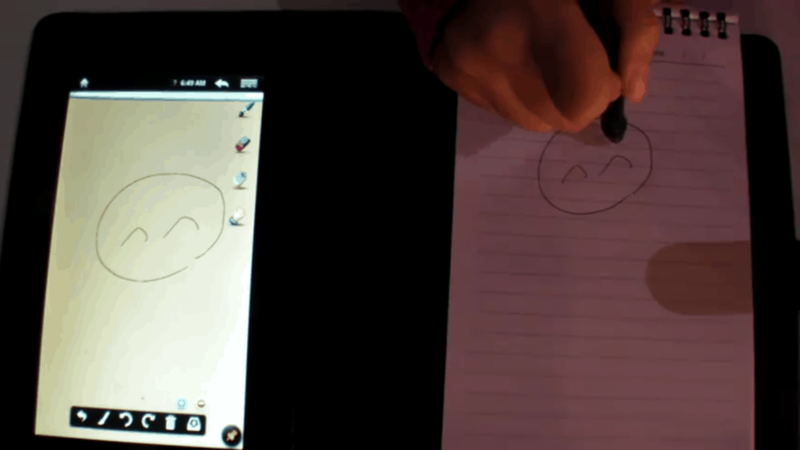 You can write on a sheet of paper and the tablet will pick up the scribbles. The price of the pen/tablet bundle should be below $199 at retail. This tablet has a Rockchip RK2818 CPU and runs Android 2.1 for now, and will be upgraded to Rockchip Rk2918 Gingerbread/Honeycomb when that one is available within a couple of months. Augen will be selling a tablet like this, and I'm pretty sure it is this tablet. Also, E-Fun is mentioned early in the video, and their version of this tablet might be the one that cleared the FCC back in January. The first couple minutes of the video cover a stand alone version of the digital pen.